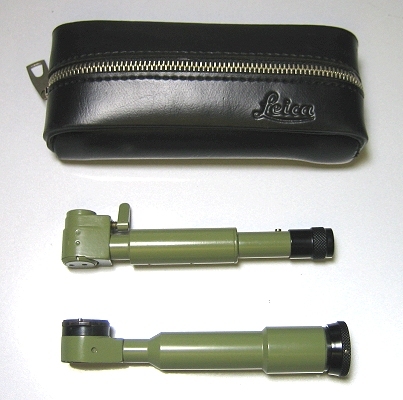 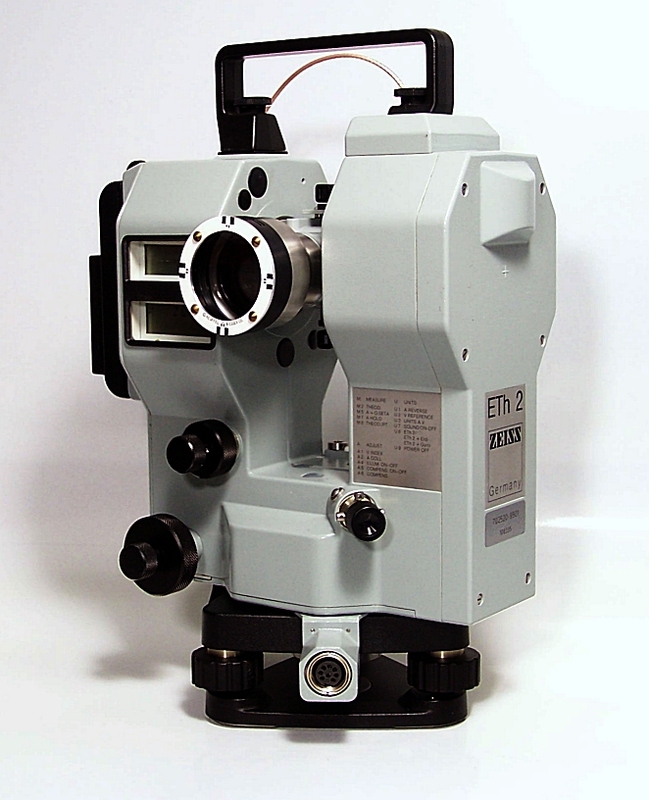 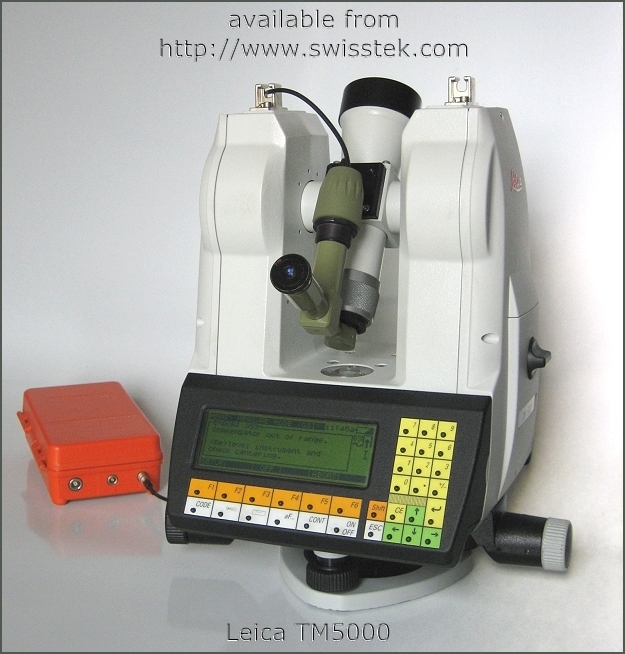 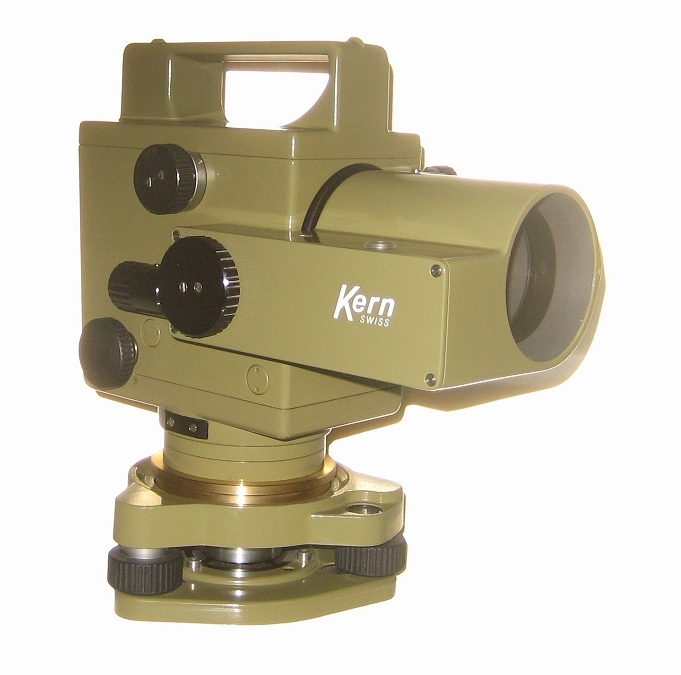 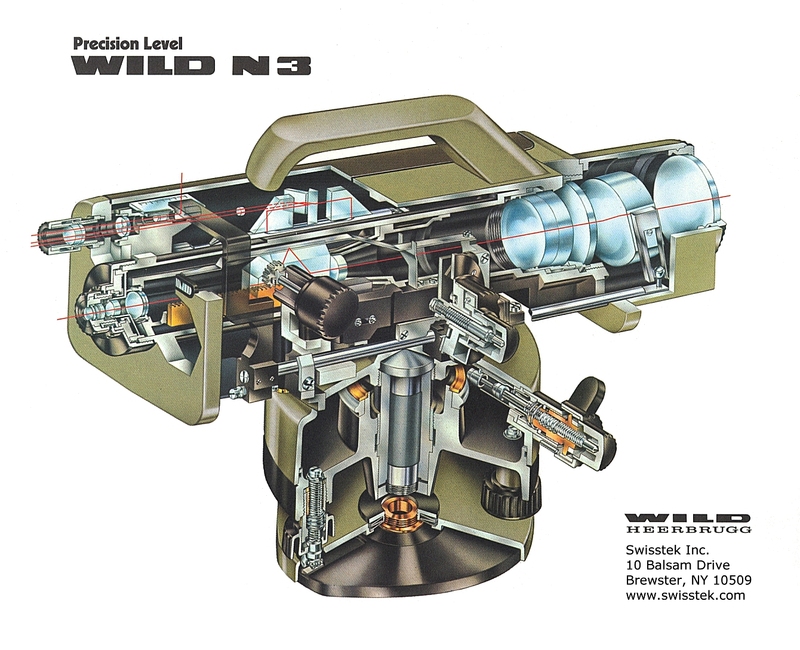 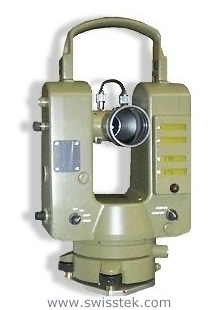 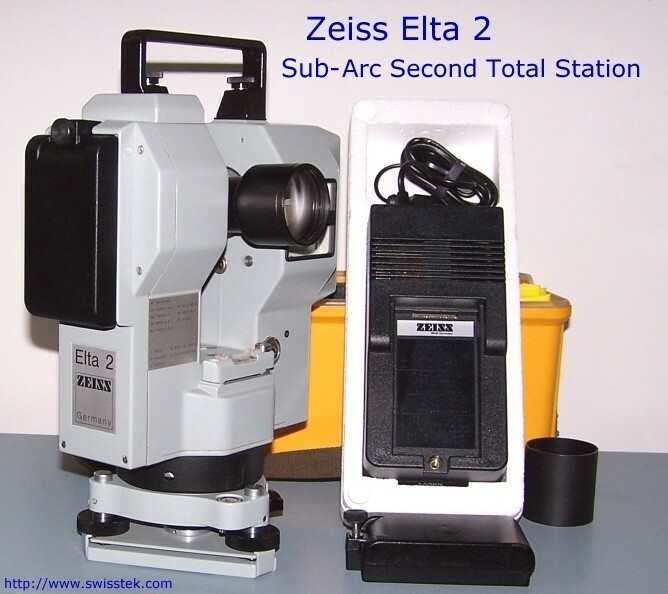 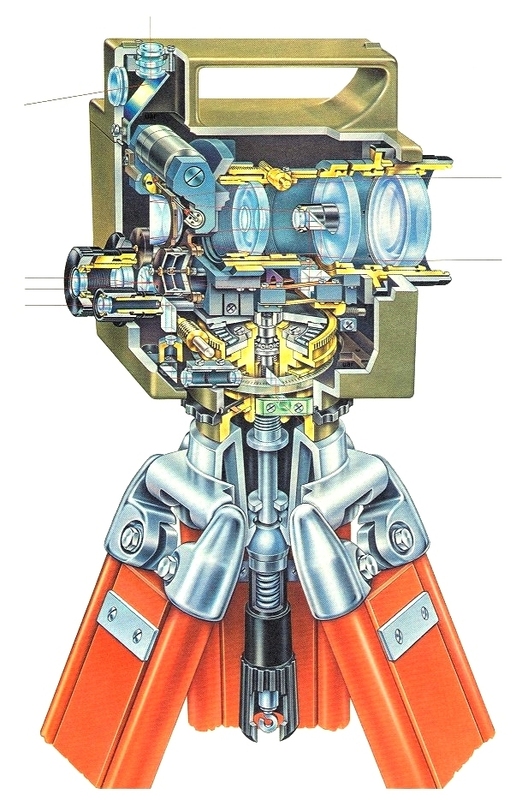 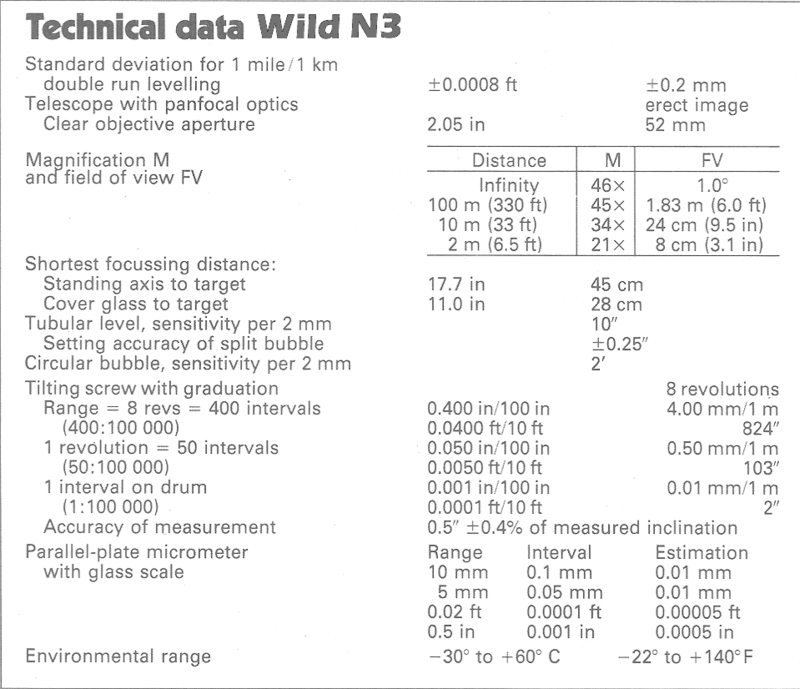 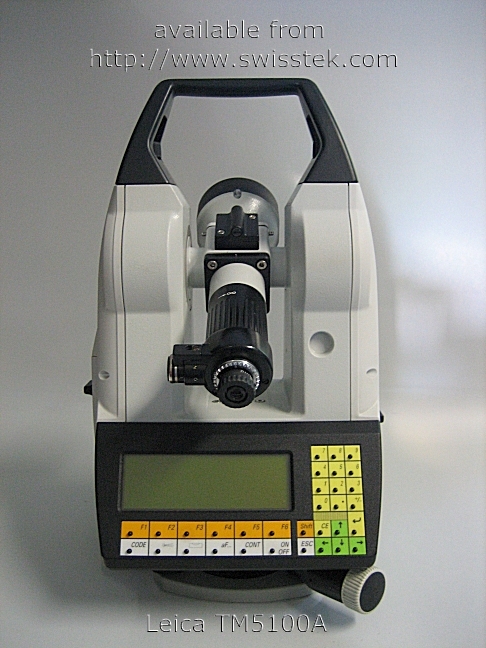 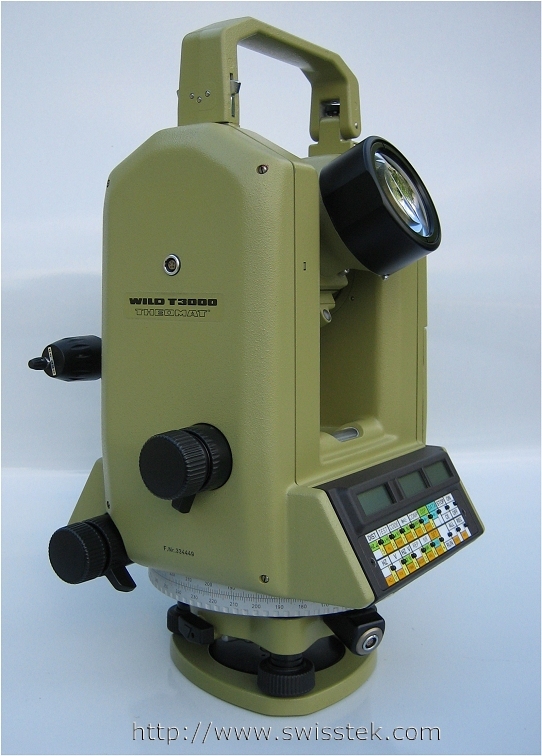 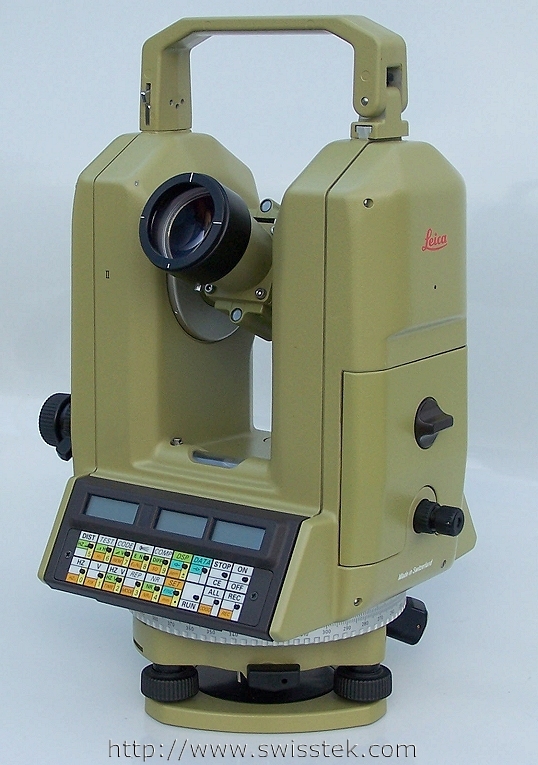 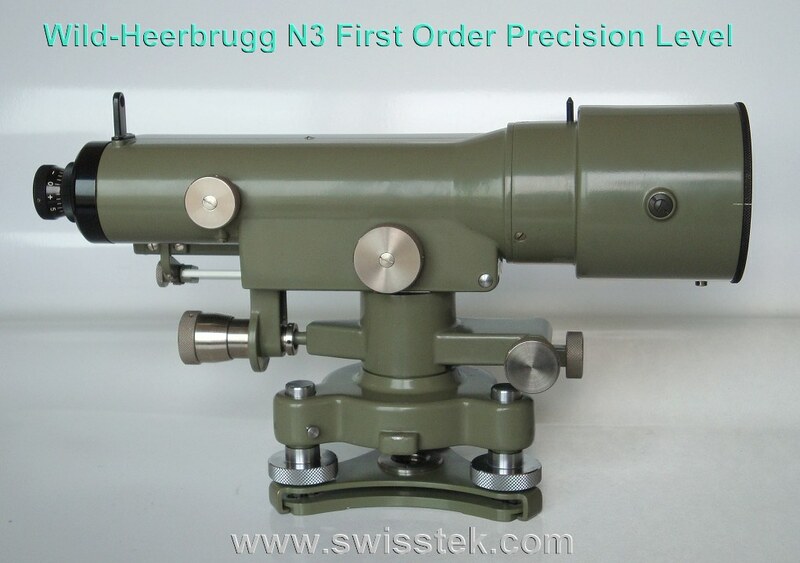 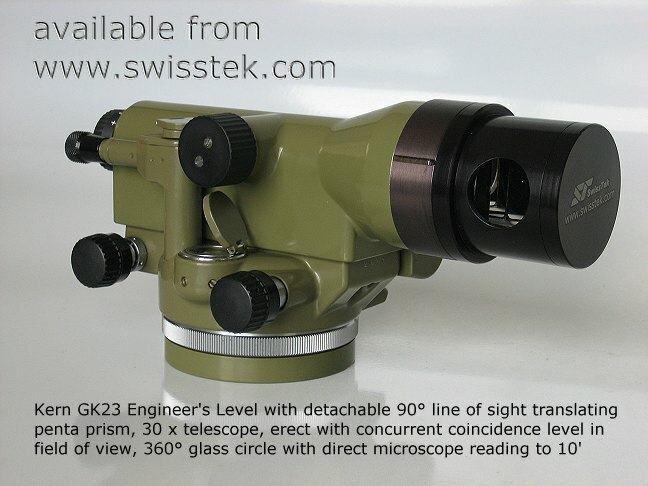 Swisstek Inc. 10 Balsam Dr.
Kern Digital Autocollimating Theodolite 0.5"
Angle resolution 0.3" or 1"
Fluid compensator range ± 2'30"
Leica Digital Autocollimating Theodolite 0.5"
Leica Motorized Digital Theodolite 0.5"
Device steep sighting up to Zenith. 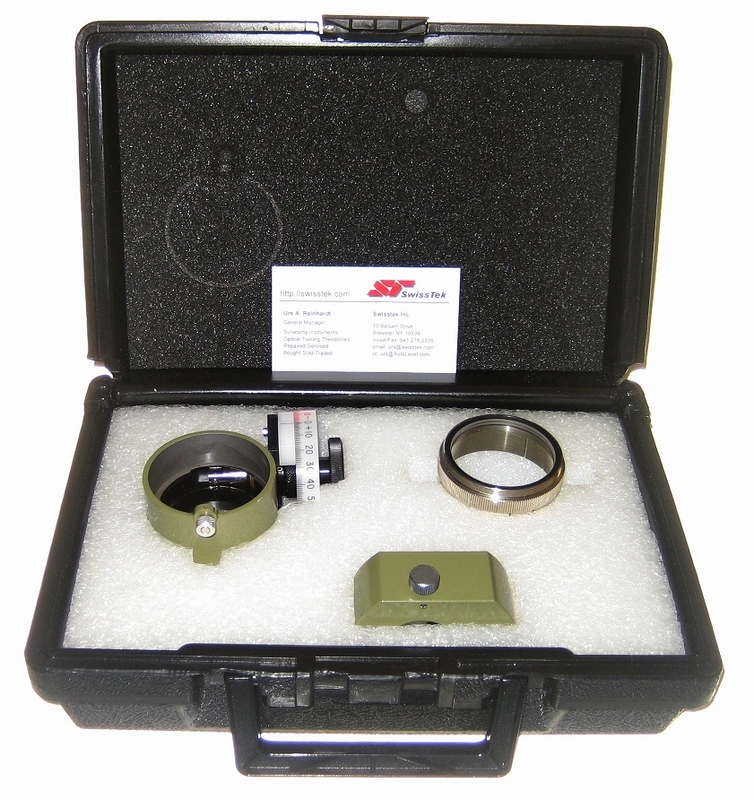 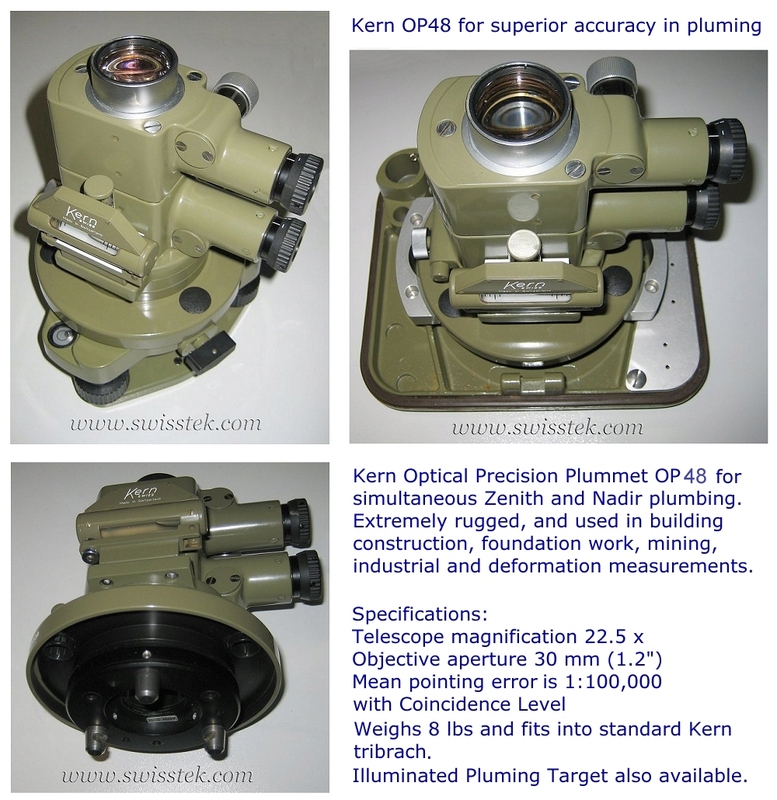 Direct micrometer reading to 1"
Compensator setting accuracy ± 0.1"
Design allows for Zenith and Nadir plumbing. 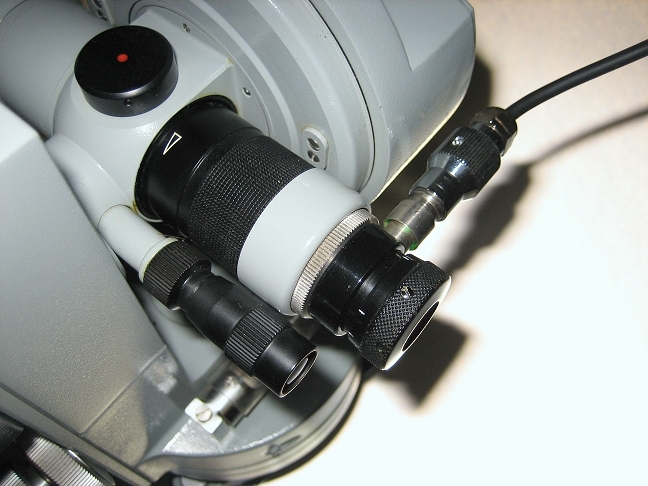 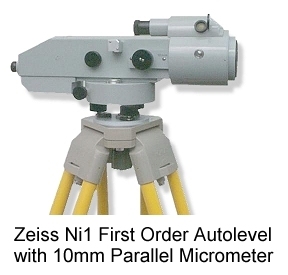 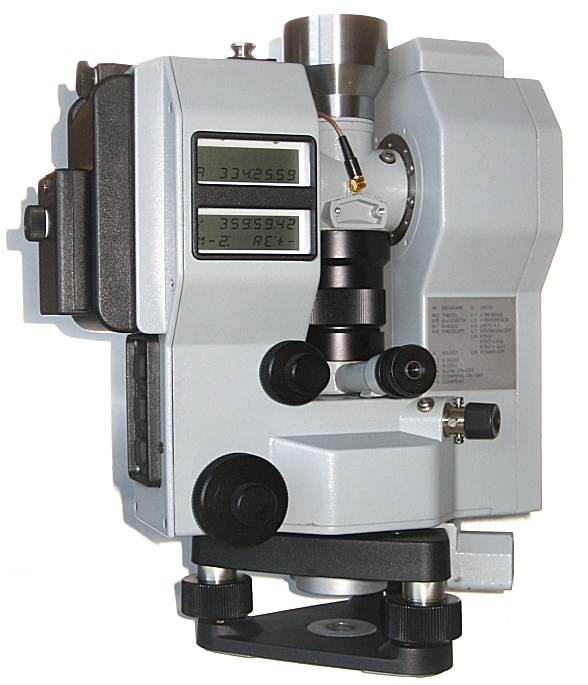 Kern Parallel Plate Micrometer 0.001"
Direct reading resolves to 0.001"
Direct reading to 0.1 mm or 0.001"
Centering tripod with fast set up plumb rod. 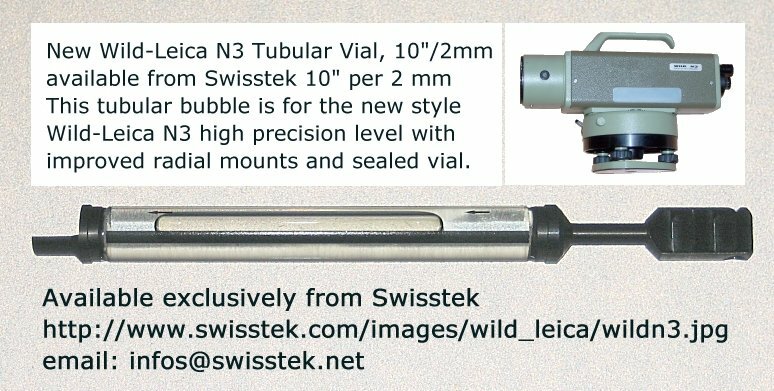 sensitivity 18" per 2 mm. 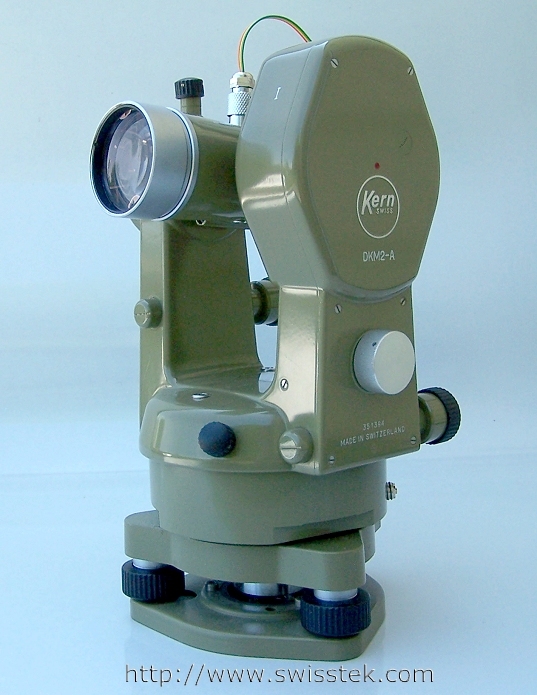 Kern dome head tripod or tribrach base. 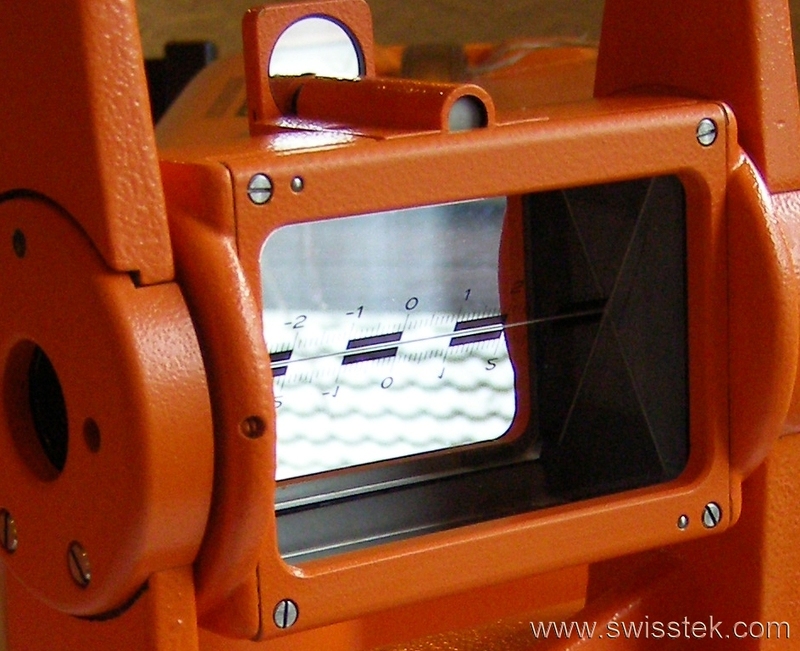 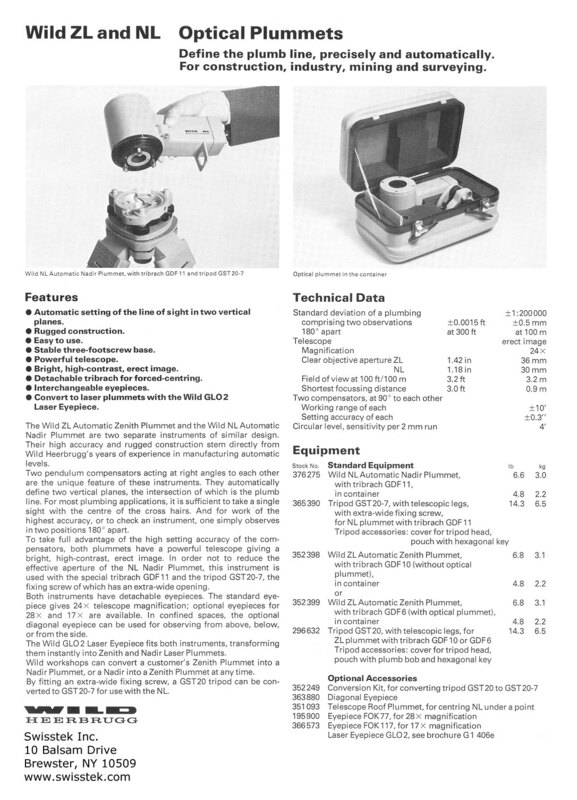 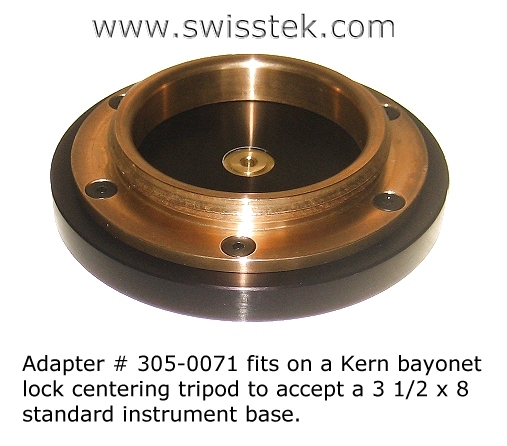 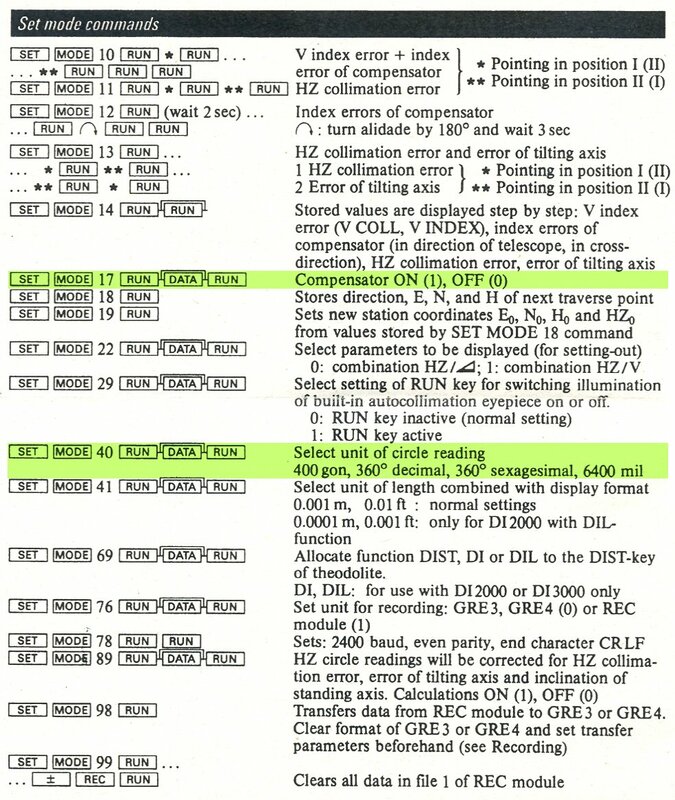 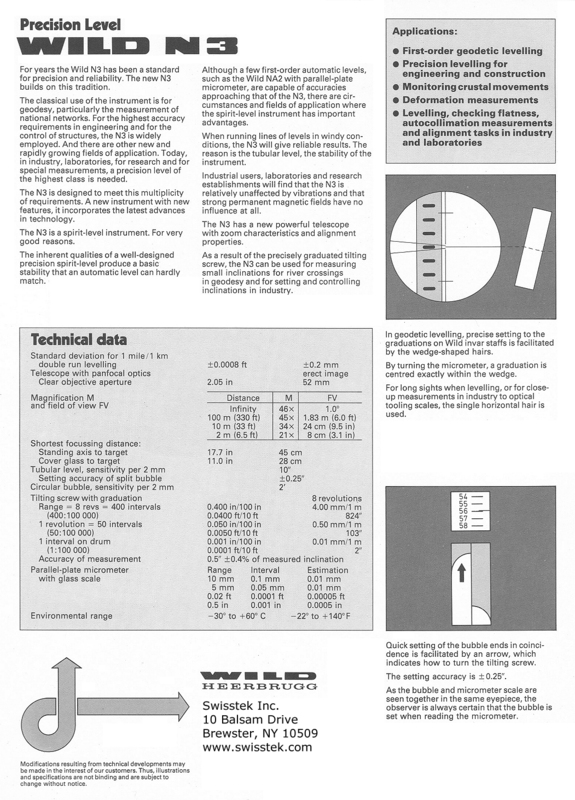 Compensator setting accuracy ± 0.3"
URservice.com design - Copyright © 1998-2012 SWISSTEK INC. - All Rights Reserved. 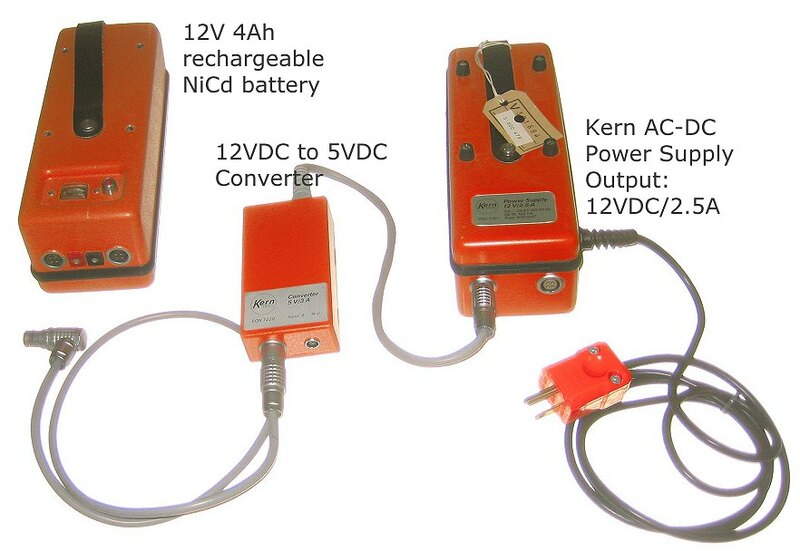 All other copyrights and trademarks owned by their respective owners.